Greetings, I am John Williams of Lexington, SC and William Hyder Sr. (d. 1790) was my Great, gr, gr, gr, gr, Grandfather. We will be in Carter County this weekend and I wanted to visit the Hyder Cemetary off Powder Branch Rd. However, I know that it is surrounded by private property. Who can I contact to get permission to get up to the cemetary? Thanks for your help. John Williams. PS Our son, Jonathan, a Presbyterian minister & Army Chaplain, is serving as an interim pastor to a small church in nearby Johnson City. Glad I found your blog. Thank you for listing primary sources on this blog. I look forward to further posts. Musgrove Mill State Historic Site would like to extend a formal invitation to our site’s living history experience. 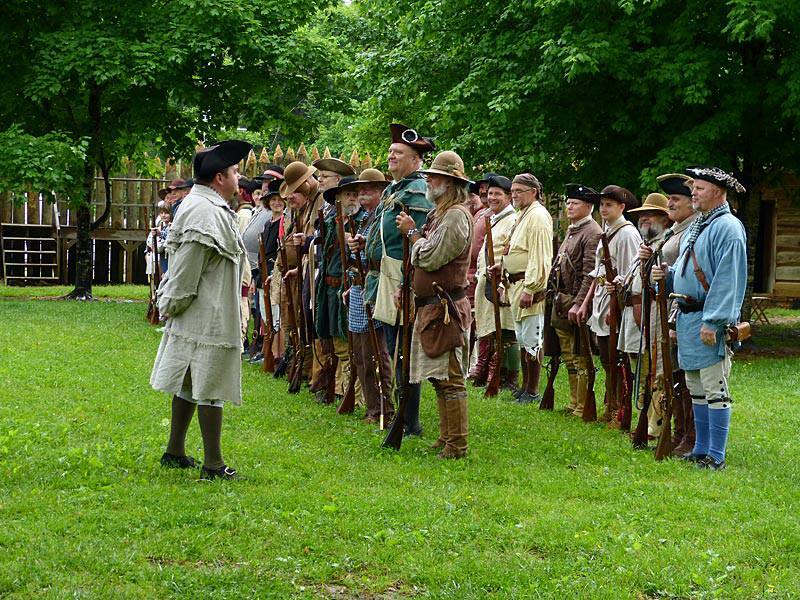 The Musgrove Mill Living History Weekend will be held on April 23 and 24, 2016. Musgrove Mill State Historic Site would like your help to make this a memorable experience. We had close to 500 visitors to last year’s event and we need your help to continue our growth. Interpretation of this event will be very important in educating the general public about the Battle of Musgrove’s Mill and the role of South Carolina during the American Revolutionary War. Over 200 battles/skirmishes were fought in South Carolina during the Revolutionary War, more than almost any other state. You and your group will have the opportunity to participate in providing educational sessions to the public. We are working on the schedule of events for the Living History Weekend. If you would like to have time on the schedule for a presentation by your group let us know as soon as possible so that we can reserve a time on the schedule for your presentation. Wood will be provided for each participating unit, as needed. In order to facilitate all needs please let the staff know your planned arrival time and if you plan on camping on site. We are planning on opening the grounds Friday and Saturday nights for camping purposes for participants as needed. The park will be providing dinner for all re-enactors on Saturday night. Thank you for your time and consideration. We look forward to seeing you at Musgrove Mill State Historic Site. Responses should be directed to the attention of Bobby James, Park Interpreter at Musgrove Mill State Historic Site by phone at (864) 938-0100, by email at bjames@scprt.com or by mail. Please let us know how many to expect, and any special considerations you or your group may need. In order to get as accurate a count as possible, please notify the park of your interest by February 1, 2016. Again, thank you for your time and consideration. We greatly appreciate it. Thank you so much for your invite. I will pass this on to our historical interpreter and militia commander, Chad Bogart, in the morning.